After the global downturn that followed 2008, Small and Medium Enterprises (SMEs) emerged as one of the pillars of the economy, withstanding turbulent times whilst banking titans collapsed around them. The global economy, as it recovered, generally built up a greater aversion to lending. Over time, markets may have turned bullish but financial institutions have taken a more conservative approach towards debt servicing. A World Bank study1 stated that there are between 365-445 million Micro, Small, and Medium Enterprises (MSMEs) spread across emerging markets. Such enterprises play an instrumental role in most economies, particularly in developing countries. Unfortunately, limited access to credit finance often restrains the ability of SMEs to secure bank loans, which inhibits their growth. Given the growing number of these enterprises in the global economy, it's crucial to ensure they have quick access to adequate financing. SME growth in any market would eventually, if not immediately, contribute to job creation and communal development. Asia has the largest 'unserved and underserved' sector of SMEs, which lack adequate financing when compared to other markets. This is worrying as it reflects one of the fundamental challenges to further developing Asian trade and innovation. 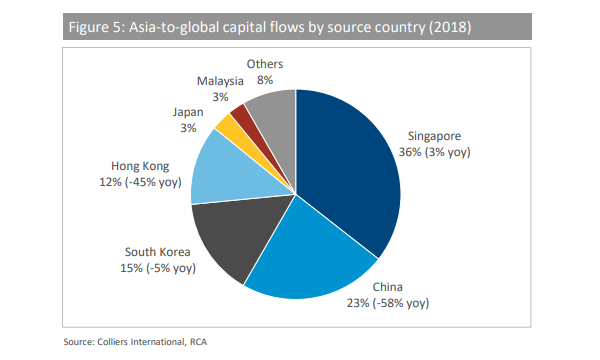 Asia is a market with massive potential to bridge the prevalent credit gap. It's a combination of stringent banking regulations in some countries and limited banking infrastructure in others that has created an alternative space for smaller businesses to adopt contemporary forms of finances. Despite Singapore being the wealthiest country in the region per capita, a recent study by Deloitte2 highlighted that 40% of local SMEs didn't have access to a bank loan. This comes at a time where a large portion of the country's GDP (47%) is derived from SMEs. For instance, in Singapore, SMEs which have been operating for less than three years simply aren't considered by the banks due to the lack of required working capital – despite often having healthy financial records. The demand for alternative financing amongst SMEs was an opportunity we recognised in 2015. Capital Springboard set up a peer-to-peer invoice financing platform for accredited investors seeking high returns on short-term invoices. As of 1st September 2016, the platform has now transacted S$95 million. Alternative finance may have only relatively recently gained universal acknowledgement across the financial services sector, but as a concept, it's an age-old story. Borrowing from your peers is an innate human trait. Back in the day, borrowing was conducted outside of the banking system: between families, and from various other money-lending sources. The difference now is that alternative finance companies have been legalised and aligned to fall within the regulatory framework. 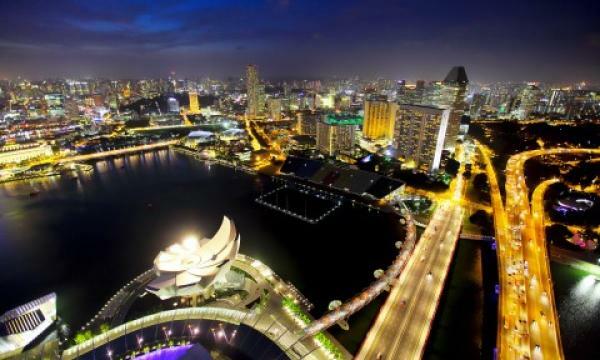 The Monetary Authority of Singapore3, for example, has lowered the compliance burden for FinTech startups, and it's forming ties with other countries to encourage the trade of these new technologies. Pro-government approaches such as this have led to a growing number of platforms coming into existence. You could say alternative finance is now emerging as mainstream in the Asian continent, catering to a wide variety of entrepreneurial needs. China has earned the title of the world's largest peer-to-peer lending market by transaction volume – $101.7 billion in 2015, which accounts for almost 99% of the total volume in the Asia-Pacific region. In comparison, the total size of the UK online alternative finance market was $4.5 billion in 2015. The Chinese market grew from a relatively low base of $5.56 billion in 2013 to reach $24.30 billion in 2014 and then went on to reach the $101.7 billion in 2015 – an average growth rate of 328% between 2013 and 2015. Asia remains a lucrative market which will in due course attract alternative finance options from diverse parts of the world. Meanwhile, the local market remains optimistic, and will sustain – if not increase – the demand for short-term loans; however it is to be seen what regulatory bodies will do to ensure the prolonged health of the lending space. 1World Bank report: Small and Medium Enterprises (SMEs) Finance published on September 1, 2015. 2Deloitte press release: 40% of Singapore SMEs have no access to bank loan financing: Visa & Deloitte Study, published on October 23, 2015. 3The Business Insider article: These are the top fintech deals in Southeast Asia, published on August 12, 2016. Roger Crook, an independent Senior Advisor, is CEO at Capital Springboard. He was formerly a Member of the Board of Management, Deutsche Post AG (DeutschePost DHL) and Global Chief Executive Officer, DHL Global Forwarding, Freight Division from 2011 until 2015. Roger has more than two decades of operational responsibilities in the logistics industry.